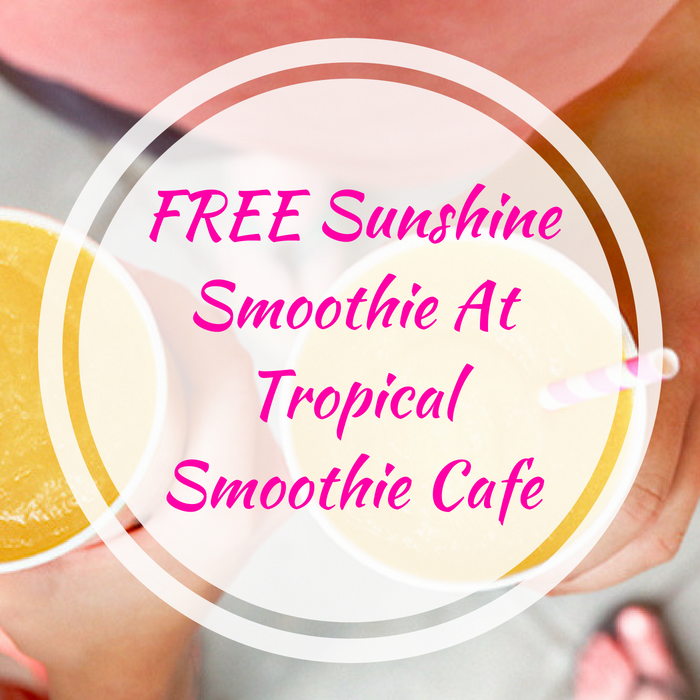 FREE Sunshine Smoothie At Tropical Smoothie Cafe! You are here: Home / FREEbies / FREE Sunshine Smoothie At Tropical Smoothie Cafe! On June 15 only! Tropical Smoothie Cafe will be offering a FREE Sunshine Smoothie in honor of the National Flip Flop Day! To get this FREEbie, you just need to show up in your favorite flip flops – no purchase necessary! Sweet!